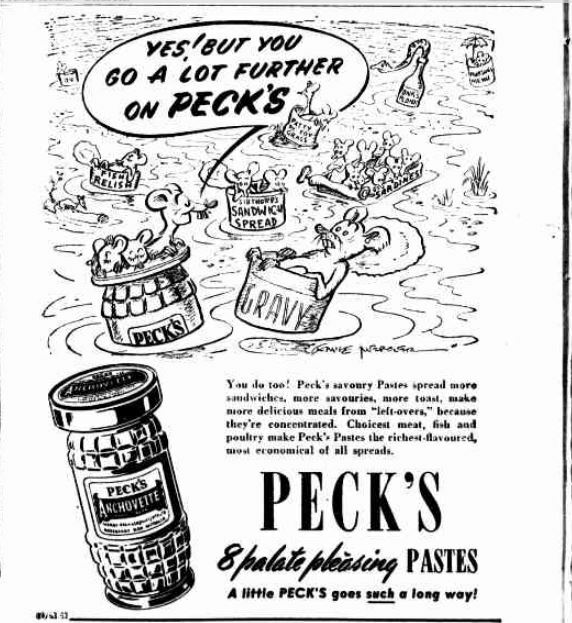 While the General Mills website claims Peck’s Pastes were introduced to Australia in 1904, the brand advertised 60th birthday specials in 1961. Which is correct? It’s hard to say, as the first advertising seems to have appeared in 1906. Pecks’s Pastes enjoyed a boom in the 1950s and ’60s and the name lingers on – although they’re called “Tasty Spreads” these days. 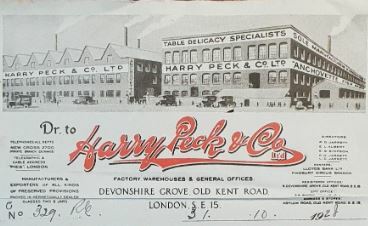 Harry Peck & Co were originally cheese merchants. The company was founded in 1891 and soon began making potted meats and fish pastes in their factory in South London. Their early products included Anchovette and Kippervette. 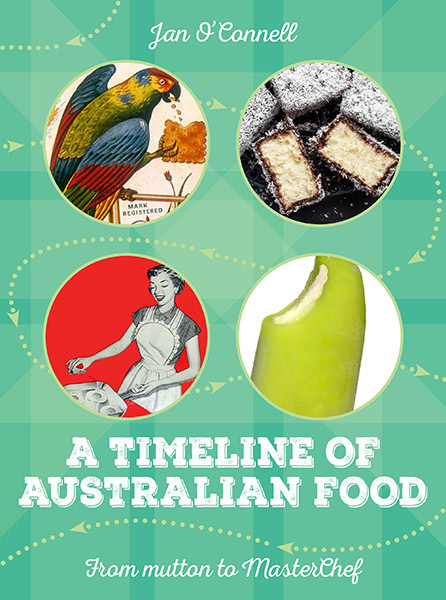 Peck’s Pastes were exported to all parts of the British Empire, arriving in Australia in the early 1900s. 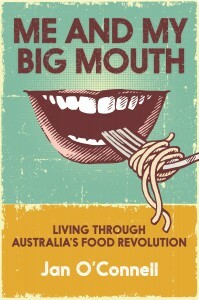 In 1906, grocery stores in Melbourne were advertising “H. Peck’s Fish Pastes, salmon and anchovy, salmon and shrimp, salmon, shrimp, 9d. per jar”. But wait, there was more. The following year, DuRieu’s Stores in Broken Hill were advertising their “NEW SEASON’S DAINTIES JUST UNPACKED” and on the list were no less than 16 different lines, including Peck’s Lobster Paste, Peck’s Pate de Foie Gras and Peck’s Chicken in Trufele [sic]. 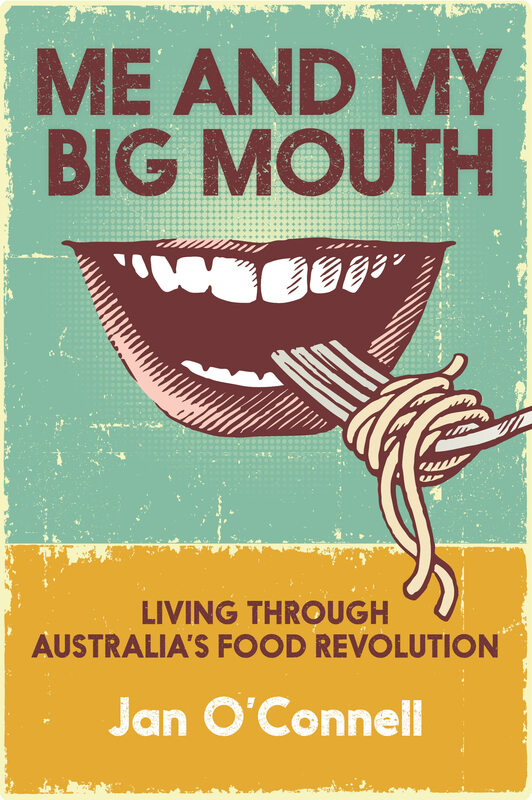 Those Broken Hill miners were obviously eating well. 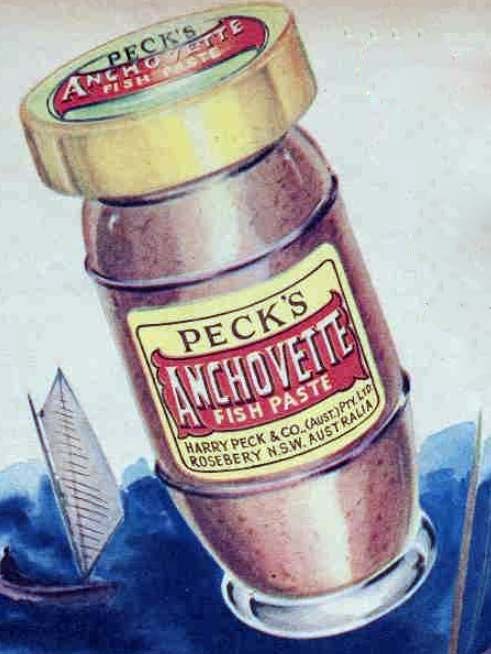 Australians took to the fishy stuff, and by 1938 Harry Peck & Co. had set up a manufacturing plant in Rosebery, Sydney. It’s likely that the Sydney factory limited itself to the more popular lines and in 1949 Peck’s were advertising just five varieties: Anchovette Fish Paste; Beef, Tongue and Turkey; Veal, Ham and Chicken; Beef; and the irresistibly named Bloater. The 1950s and ’60s marked the heyday of Peck’s Pastes. In 1952, an anonymous copywriter coined the slogan known to this day: A little PECK’S goes such a long way! The brand even sponsored a TV show – “Our Miss Brooks” – on Sydney’s Channel 9 at 6pm on Sundays. The range expanded again, with a 1959 advertisement boasting of “10 wonderful flavours”. Strangely, it only listed eight. The Peck’s people just couldn’t count and that’s why the 60th birthday occurred at year 97. Peck’s pastes were promoted for their economy. The resealable jar meant the paste “keeps so well in the ice box” they promised in 1959. By 1961, though, someone caught up with the times, saying the product “Keeps well in the refrigerator”. As early as 1953, Peck’s branched out into canned goods, starting with Braised Steak & Onions. 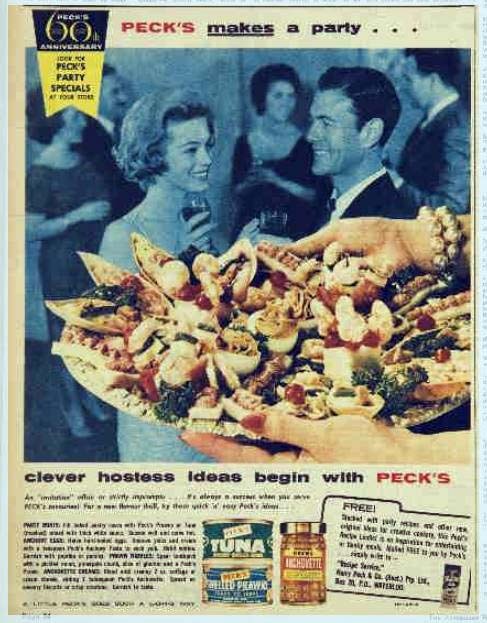 By the time of the 60th birthday in 1961 there were Peck’s Tuna, Peck’s Shelled Prawns and Peck’s Hungarian Goulash. It seems these products gradually disappeared from Australian shelves, although the Braised Steak and Onions was still on sale in New Guinea in 1981. From the 1960s, Pecks’s Pastes went through many ownership changes. Harry Peck & Co was acquired by the British conglomerate Melbray Group in 1964. It became Hayward-Peck, which was sold to Brooke Bond Oxo in 1970. The Peck’s brand was sold off again in 1979, changing hands twice more before being purchased by the American General Mills in 2001. 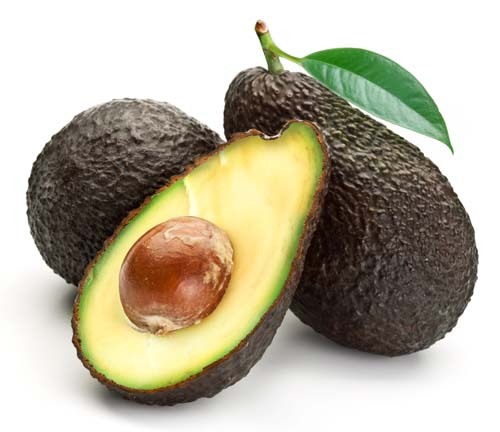 … my husband and I have been having this on our brekky toast for 65 years. 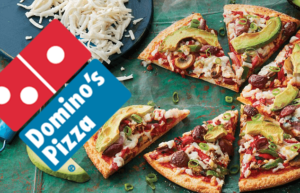 It’s always been our favourite. Hell, I even took bottles of it back to Canada when we lived there for 5 years. However recently the recipe has changed to that of a very sloppy consistency. Probably the addition of more water to boost volume and save cost increase. Well, unfortunately like most people I won’t be buying again. Inedible . Another Aussie favourite down the loo.